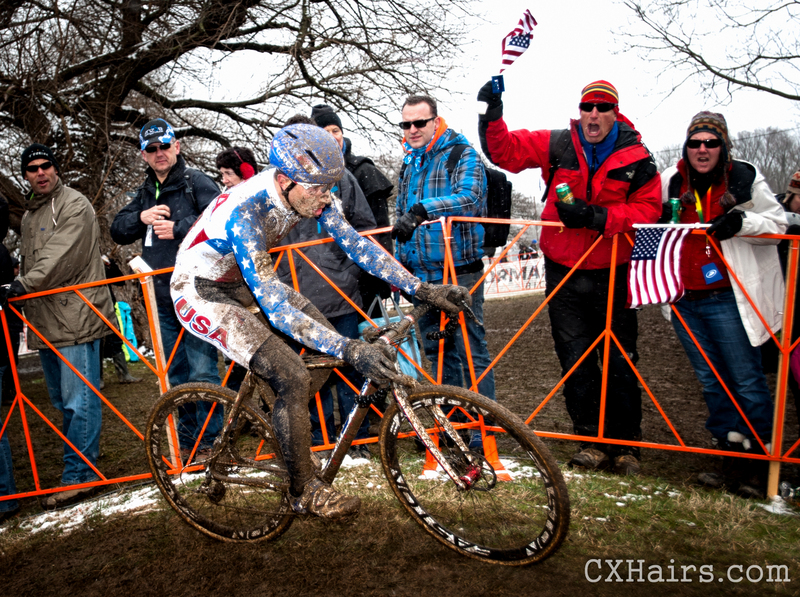 Cyclocross Worlds comes to America. 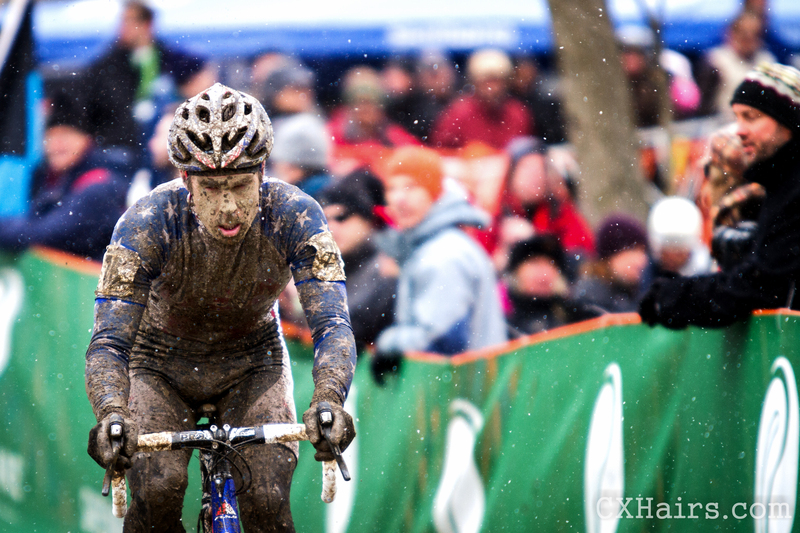 The 2013 UCI Cyclocross World Championship took place February 2 in Louisville, Kentucky. Originally planned for February 2 and 3, a quickly rising Ohio River forced organizers to hold all four championship races on Saturday. By Sunday, Eva Bandman Park, site of the championship, was half under water. It turns out flood waters, unlike weather, are much easier to predict and the organizers made the right call. For anybody who has raced in the U.S., where promoters routinely hold six to eight races a day, having four events in one day didn’t seem that compressed. Granted, getting to the early morning junior race, after a late night in Bourbon-land, was a challenge for a whole bunch of people and the crowd definitely grew as the day went on. As for the event? Allow me to dip my toes into a pool of hyperbole and say “It was amazing!” The course, venue, fans and racing were all top-notch. My goal post-race was to ask every person dressed in Belgian colors and smoking a cigarette how we did. Not one had a negative word to say. As part of the U.S. cyclocross community, this was a proud day for all of us. 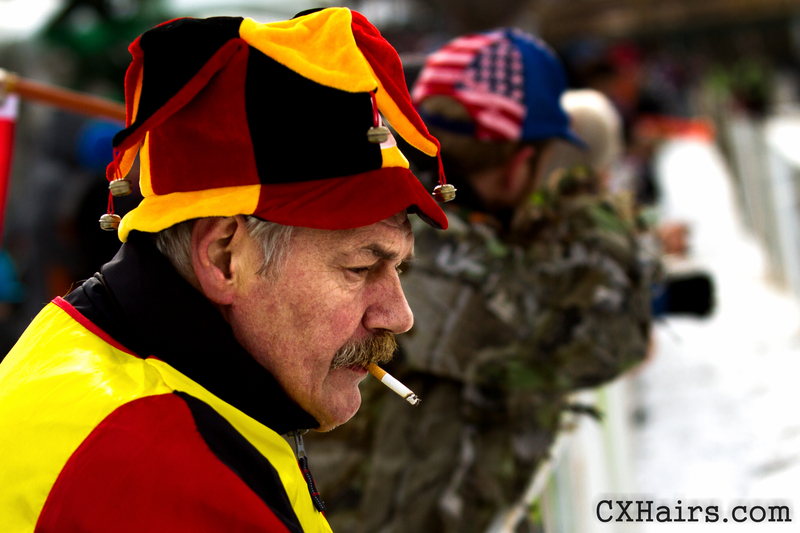 And hopefully the beginning of a new age in U.S. cyclocross, in which most top European racers routinely come to race on American soil at least once a year. Although it may be a while before we have the World Championship back in the states, a World Cup race in the next five years should not come across as a pipe dream. The only downside of Worlds was the concessions. The planning or execution on that front fell well short of expectations. The condensed schedule may have had something to do with it, but standing in line for over an hour for food or beer is unacceptable. Personally, I brought some food and drink, and didn’t bother with it, but I felt bad for families wanting to feed their kids, and folks anticipating some easy food during the day. A captive hungry, thirsty audience should have been a dream for food vendors. Definitely an opportunity missed. In the big picture, the concessions hiccup was more of a footnote than a headline. The important part of the day was that THE WORLDS BEST WERE RACING IN THE UNITED STATES IN THE BIGGEST RACE OF THE SEASON!!! This may not come as a shocker, but I’m a huge fan of Sven Nys and the rest of the Belgian squad. 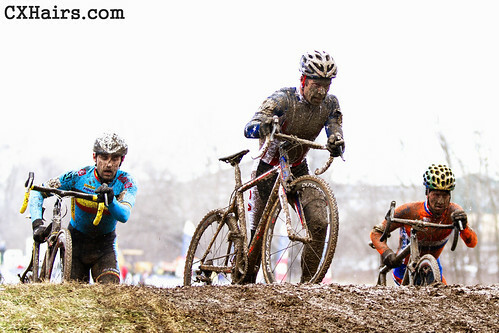 It is the Dream Team and seeing them race up close was by far the top highlight for me as a cyclocross fan. However, witnessing the super strong showing by the Netherlands was right up there. Marianne Vos, Lars van der Haar and Mathieu van der Poel are making a strong argument that the Dutch and not the Belgians are the new royalty of cyclocross. Although fawning over the Euros like a kid was fun, watching our home-grown superstars race in the World Championship in their own country was by far the most moving part of the day. 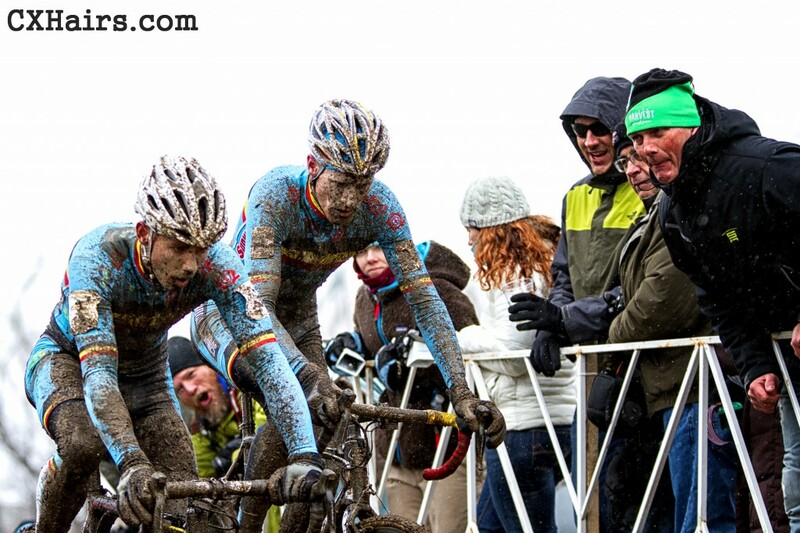 To be a world class cyclocross racer you need to race in Europe. American hopefuls must either take several trips across the ocean per year, or actually live overseas. For this generation of American stars to have a World Cup level race—much less the World Championships—in the U.S. was almost unthinkable when they entered the sport. 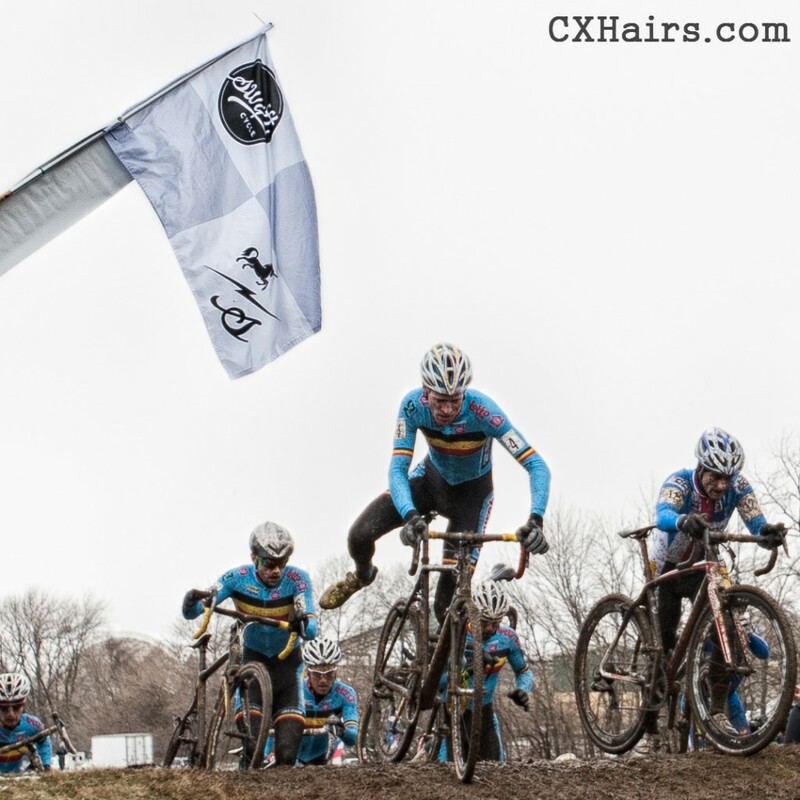 That cyclocross held its biggest race of the year in their backyard is still hard to comprehend. 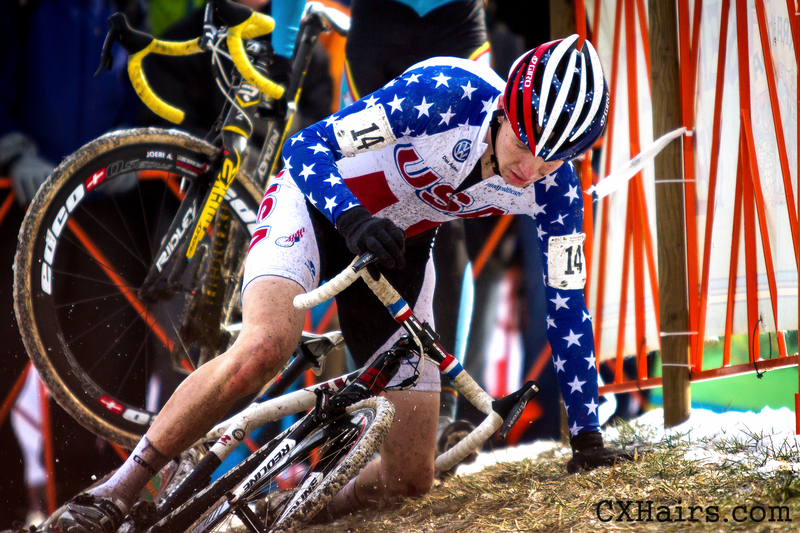 To a racer, I do not believe there was a U.S. team member who was not somewhat disappointed in their performance. But I did not hear one of these folks say they would’ve traded the experience for anything. 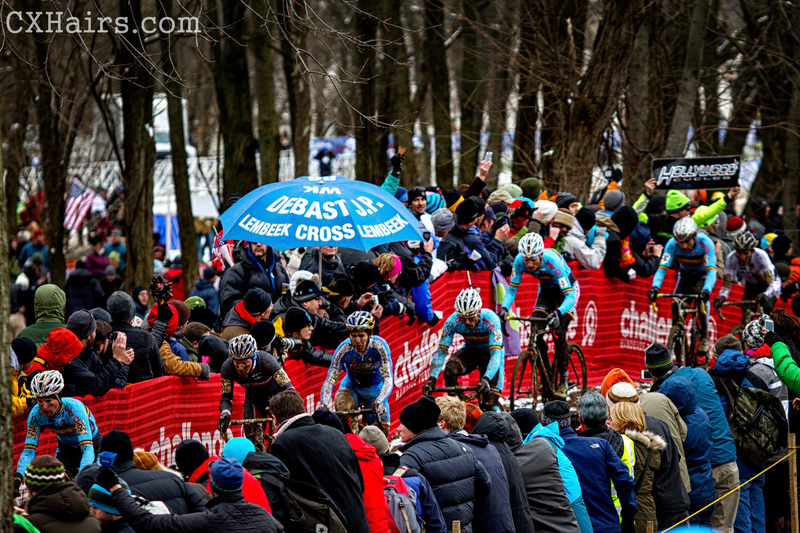 The crowds at Worlds treated everybody between the barriers as if they were a rock star. But the cheers that were already deafening became almost painful every time a Stars and Stripes kit passed by. It was simply awesome. There was a spate of bad luck for our American stars, but that’s all part of the game. 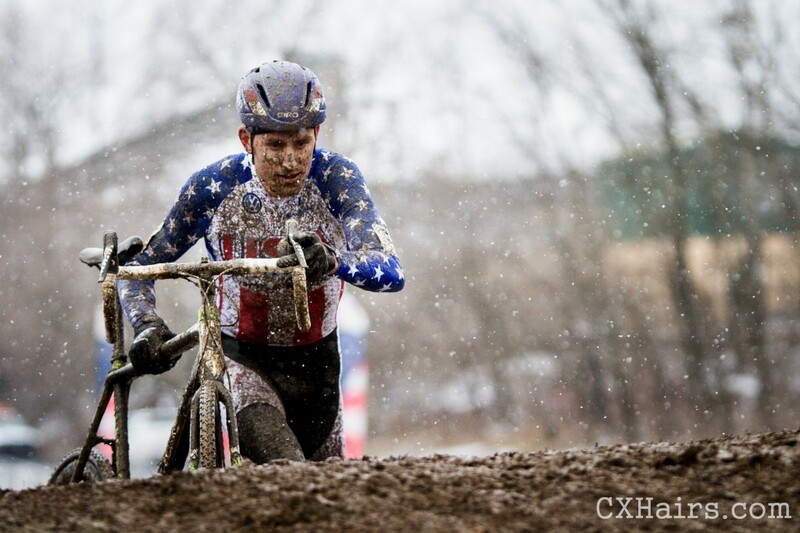 In the end, seeing the footage of Tim Johnson high-fiving fans as he came down the finishing straight epitomized what this event meant for U.S. cyclocross. A huge accomplishment and a day for which the U.S. team and fans can truly be proud. A collective pat on the back and a hearty congratulations. We pulled it off. 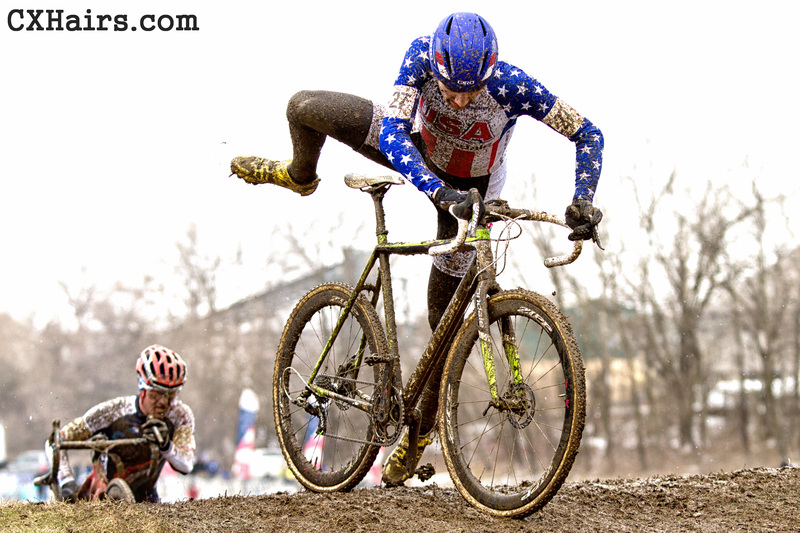 So cyclocross Worlds in the United States. How great was that? An exciting memorable race on a challenging track and a bravo from the rest of the world. We did it. We got our foot in the door. Now let’s blow it off the hinges. For the World Championship we decided not to get media credentials or shoot video of the race. The opportunity to do so would’ve been amazing but it would have meant missing out on a lot of the fun. We wanted to take it all in as a fan and a spectator instead of sprinting from spot to spot trying to cover the whole race and only being able to enjoy it by returning home and watching the footage we shot. That would’ve been lame. But I couldn’t resist lugging some cameras around. We found a nice spot right after the run-up and had a first row vantage point to watch the race. The location afforded a cool perspective and sparse background. 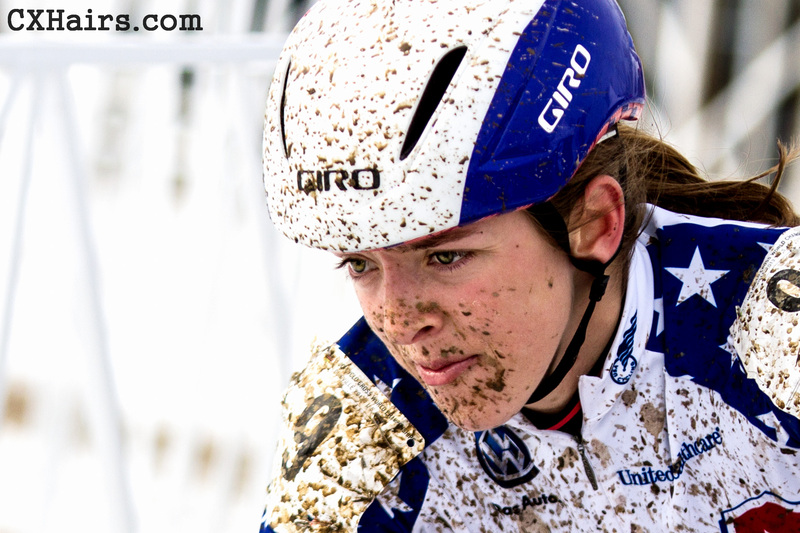 Although it did not fully reflect the crowds or craziness, I was able to get some interesting looks at the racers, especially in the men’s race when the temperatures rose above freezing and the mud began to appear. With the size of the crowd and the international fans, if you didn’t know this was Louisville, the race venue could’ve easily been mistaken for Belgium. 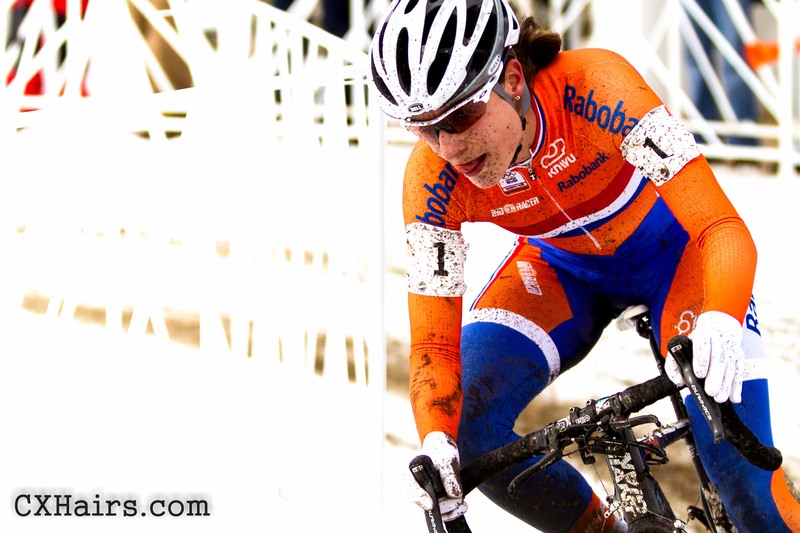 Marianne Vos ran away with the women’s title. Vos is Boss. 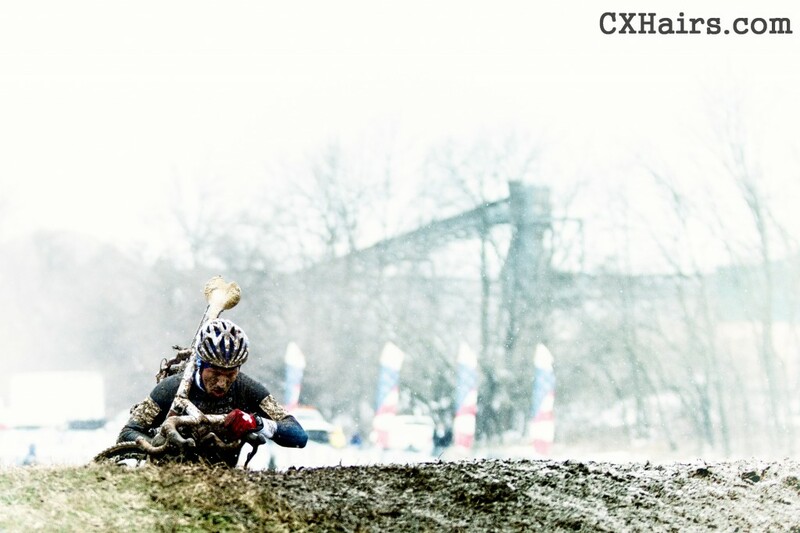 Cross is Vos. 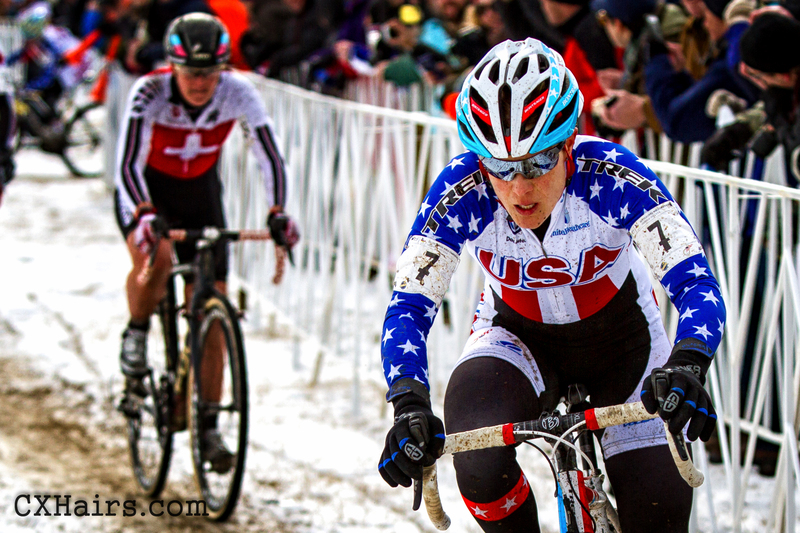 Katie Compton got caught up in a crash at the beginning of the race and looked out of contention. She worked all race to methodically move through the field and did an amazing job to finish second. Logan Owen was the field’s best chance to beat junior powerhouse Mathieu van der Poel. Things didn’t go as planned but Owen still ended up a respectable 4th. Seeing the field crest the hill on the first lap was an amazing feeling. That the Belgians were all congregated at the front was not a surprise. 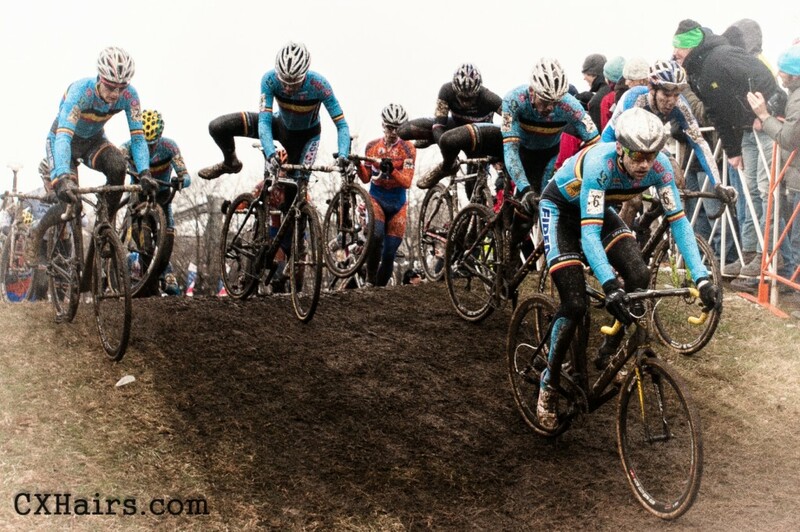 The first lap chaos continued as the rest of the field fought for the front. Jonathan Page was looking good for a possible podium finish for more than half the race before mechanicals cost him time and spots. 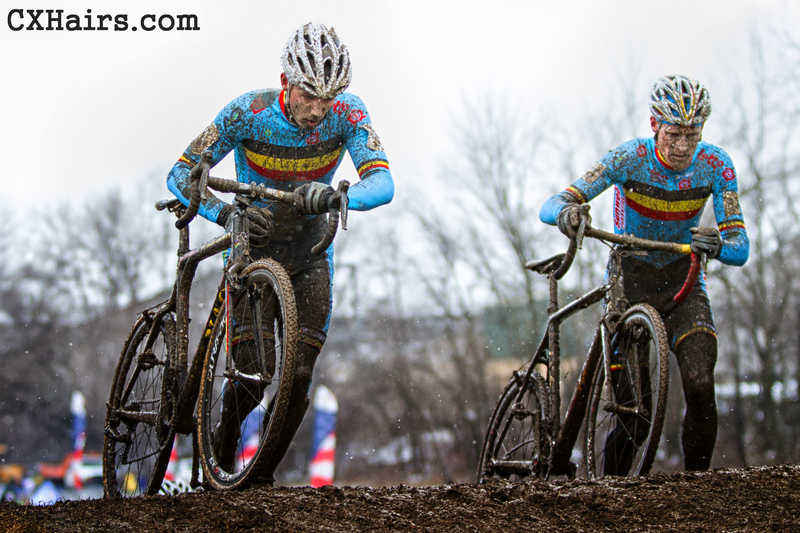 As the race shook out, it became clear it was going to be a two Belgian race. Here, Sven and Klaas come through alone with 2 laps to go. Don’t let the silly hats fool you. For most Belgian fans, this is serious business. On the final lap, the gloves came off and it was every man for himself. Soon after this shot, Klaas became briefly entangled in a barrier giving Sven the space he needed to take the win. This was the shot I wanted when we found this spot. It may be my favorite from the day.